As we grow in our awareness these two guides are ones that everyone asks about the most and that there is much confusion over. We are living in the times when there is so much information on the World Wide Web, and it is wonderful to have all of that at your finger tips. So here too, is my take on what has always been shown to me and to what I know from the Universe of All. 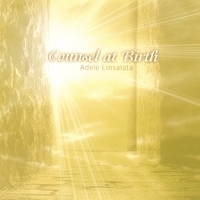 As I introduce to you in this CD “Counsel at Birth” we all have two guides from the time we are born here in this physical lifetime to the time when we transition home, and those two are your Guardian Angel and Your Gatekeeper Guide. They are not to be confused with one another or anyone else. Most of your other guides will stay with you for many years as you grow in your learning, when you have accomplished that which you need to move on – your guides celebrate with you and then it is time for them to bow out as your next guide or teacher comes in to work with you. I will take you straight into a Guided Meditation that is being channeled to me as I speak the words to you, my own Counsel of One is showing and guiding me. As you listen to my voice I am taking you to the Realms in which to meet those of your Counsel at Birth. Each CD is an hour in length, with two thirty minute or more guided meditations, please be aware each guided meditation is to be done separately, allowing yourself to have the time in between meeting each of your own guides, angels and teachers, to truly get to know them. These CDs are a door opener to your own connection and relationship with each one. Understand these are not all of your guides, angels and teachers in the spiritual realms, but just a few of the major ones whom you will get to know and work with on a daily basis. As time goes on, I will be introducing you to even more of your own Counsel who are with you each day. I will be channeling more guided meditation CDs, but as always, I will be presenting some guided meditations that have never been heard before at my workshops, seminars and events, as these will be the ones that are given to me by my own Counsel, to bless, open up and connect with those who are attending these events. You will be amazed as you find yourself actually meeting each of your guides, angels and teachers in the Spiritual Realms with these Guided Meditation CDs, the Joy, Love and knowledge that comes from them to you, and the recognition to each one in which you are about to meet. I send you my Blessings, and Love! The first guide in the band is called Gatekeeper, or Doorkeeper. I say this as the Gatekeeper is one of only two of your guides who are with you from birth to transition. This beloved guide is one of my much loved guides (as they all are) one who works so close to me as this one does. Your gatekeeper is the guide who gives his consent or non-consent to the visiting clients – guides, teachers and loved ones in spirit, to communicate in a reading with the medium or yourself as the practicing medium. Your Gatekeeper, is with you from birth until you make your transition home, just as your guardian angel does, but, please do not confuse the two of them, for they are totally different. This spirit guide is your overall protector in your life work and what you are here to do. The Gatekeeper looks over and watches out for your best interest and holds you close so no harm may come to you. Very often when you see a Gatekeeper Guide around someone, the guide will stand behind or in front of that person, wearing a voluminous cape, with lots of enveloping folds. Which then, this guide will wrap the cape around the individual, which automatically signals a feeling of protection and identifies the guide as a Gatekeeper. You will also find the Gatekeeper will have characteristics similar to your own or a feeling of familiarity as with a past life. Your Gatekeeper is the guide that is assisting you and a chosen reader when you have decided to receive a personal reading from a medium. The Gatekeeper’s influence in this area is to make sure you are receiving the messages that you are there to receive. Are Guardian Angels the same as a Spirit Guide or Teacher Guide? Well, Guardian Angels and Angels are spiritual beings who are very present in our lives and in a class all by themselves. What makes them angelic is that they have never incarnated on Mother Earth, unlike our Spirit Guides and teachers. Our personal Guardian Angel is with us from birth until we make our transition home, as is our Gatekeeper – once again not to be confused with each other. Our Guardian Angel has never had a physical incarnation, while our Gatekeeper guides and teachers have had many a lifetime in physical form. Our guardian angels are with us to keep us on our path of light, that when we may – by “free will of choice” wander away from our true divine path, then the guardian angel will guide us back to where we need to be. When you are in a harmful situation that can cause you to transition before your time, it will be your guardian angel who yells out very audibly to you “NO” or “Do not go there, turn back.” This is such a strong and commanding voice that you will hear it, outside your body, next to you, that it will make you jump or stop in your tracks, listen to what your Guardian Angel says and do it right away! NOTE: Take the time after using these meditation CDs to work with and get to know your guides, angels and teachers in the spiritual realms. These are the ones in your own counsel; you will find that they are your very best friends in every way.